I got an email from a fan today about something I just happen to have in the works. It's always good to have the solution already in hand, isn't it? Lisa wrote: "Hi Catherine, Love your e-mails! I was wondering why I receive them a day later though? This morning I received the one from yesterday and unfortunately when I went to sign up for most freebies they were already gone. Is there any way I could receive the e-mails on the same day? Keep up the great hard work." I can imagine how frustrating it must be to get notice of a freebie a day later, when many of them are gone within an hour of posting! Unfortunately I have no control over when the newsfeeds send you notice of the freebie posts. Well, yesterday I came across a great article by We-Love-Swag-bucks.com called "Never Miss Another Swag Code" and I thought - why not make it work for my site? The first thing you have to do is download a free little program (3.6 mb) called FeedDemon, that will sit in your system tray - I know scary! I hate downloading stuff onto my computer too. But it was easy and quick to download, and simple to set up. 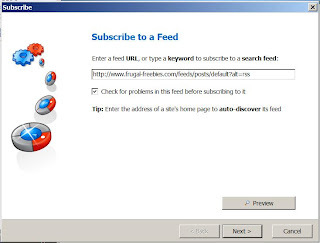 The FeedDemon program constantly checks for any updates, politely alerts you when a new post has been made, and give you a link to the freebie post. It does all this in the background and is just a tiny icon in your system tray (bottom right of your computer screen). When it finishes downloading, go to where you downloaded it, and double-click on FeedDemonInstall.exe so the program will open. Armed with FeedDemon program and one (or more) of the Frugal Freebies feeds listed below, soon you will be able to sit back and wait for freebies and swag codes hints to come to you! Once you have downloaded and installed FeedDemon, we will take a few minutes to get it set up to receive all your freebie and swag code news. First off, I will list our Frugal Freebies feeds. I have listed the URLs below so you can simply highlight, copy and paste (Ctrl-C). You don't have to include them all - unless you really want to! If you include my Twitter feed, you will get notified of all my posts, all my forum posts, and my tweets (Slowest method). OK, now open FeedDemon and in the top left corner, click on the button. Now you will see a pop up where you can enter our Forum (RSS feed URL) address. If you high-lighted and copied (Ctrl-C) one of the addresses above, FeedDemon will have already pasted it into this box for you. Click the Next button. You can now enter a title for the feed. The default title will be displayed in the text box, rename it if you like and click the Next button. You are almost finished! Check the box that reads I want to edit this feed’s properties and then click the Finish button. Next we need to optimize how FeedDemon handles these RSS feeds. On the Feed Properties pop up, click the Updating tab and make sure that the Update Frequency is set to 5 minutes. Then click the OK button. You have now successfully added your first feed to FeedDemon! Congratulations! 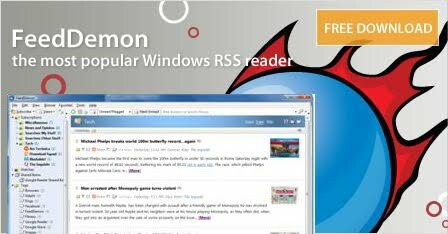 Repeat the above for each of the other Frugal Freebies RSS feeds - if you want to - and your FeedDemon will be ready to go! Now we can configure how FeedDemon alerts you to incoming freebie and swag code posts. Open up FeedDemon, then press the F8 key on your keyboard to bring up the options available. 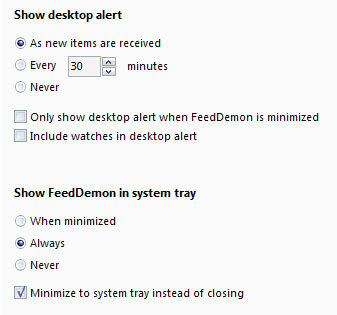 Click on the Desktop Alert tab and make sure the options look the same as the ones below. We also want make sure that FeedDemon will open web links in your browser. Click on the Browsing tab and make sure you have Open external links in default browser checked. Now click the OK button to commit the changes. Now all that's left to do is wait! When one of the Frugal Freebies feeds is updated with something new, you will be notified within five minutes - by a chime sound and a small pop-up above your system tray. Your regular FeedDemon system tray icon normally looks like this: but now it will have a tiny envelope over it to let you know you have unread posts. When you leave your computer, remember to check this icon to see if anything new came in while you were away! OK, so you have a new message to read - click once on the system tray icon to open FeedDemon. You will see that one of your subscriptions is in bold and has a number in parenthesis (1). Click on this, and the Frugal Freebies feed will open in the right hand reading panel. Your new freebie or swag code will be at the top in Bold type. Click on the title to open the post in your default browser. And that's it! Once you have FeedDemon set up with all your Frugal Freebies feeds, you should never miss another freebie or swag code, not to mention all the important news from Frugal Freebies! NOTE - Unfortunately this program does not yet have a MAC version, but I’m sure there are some great free MAC aggregators out there. Anyone know of one to suggest? how can i get the updates right away on my phone???? 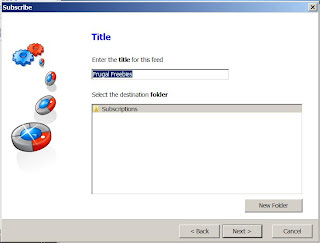 Another way is to simply follow us on Twitter http://twitter.com/frugalfreebies and click on the mobile updates button next to the Following button. I downloaded the FeedDemon app... I am already loving it!! Thank you for sharing.. you are awesome in my book!